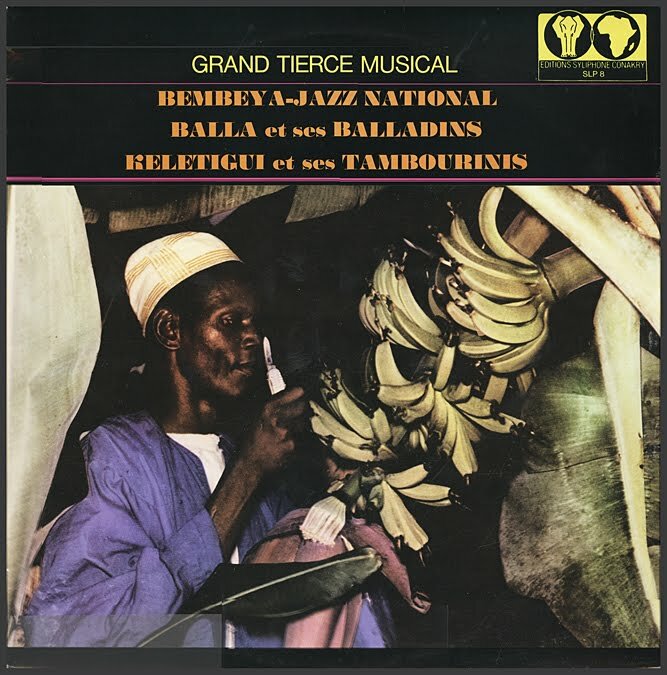 Myriam Makeba's Quintette Guineen were all Balladins 'drafted' by President Sekou Touré, who offered the international star asylum including band after her marriage to activist Stokely Carmichael sank her career in the States. 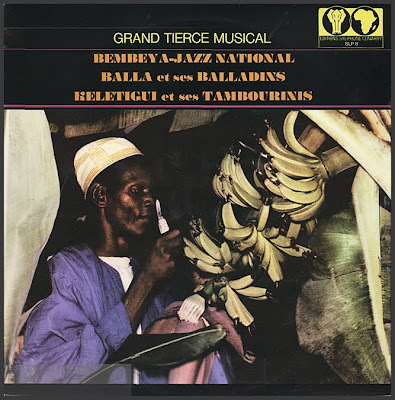 Cover shot finds Sékou Diabaté 'Diamond Fingers' of Bembeya Jazz in an ethno-psychedelic moment. 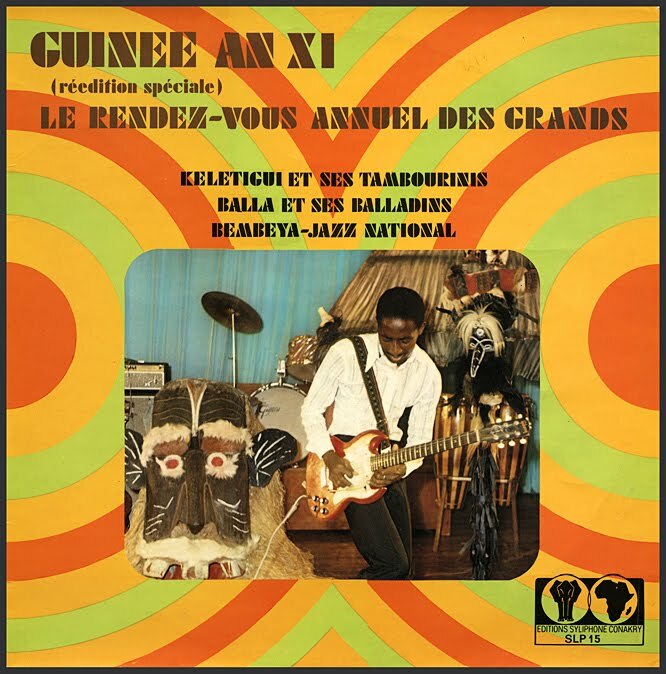 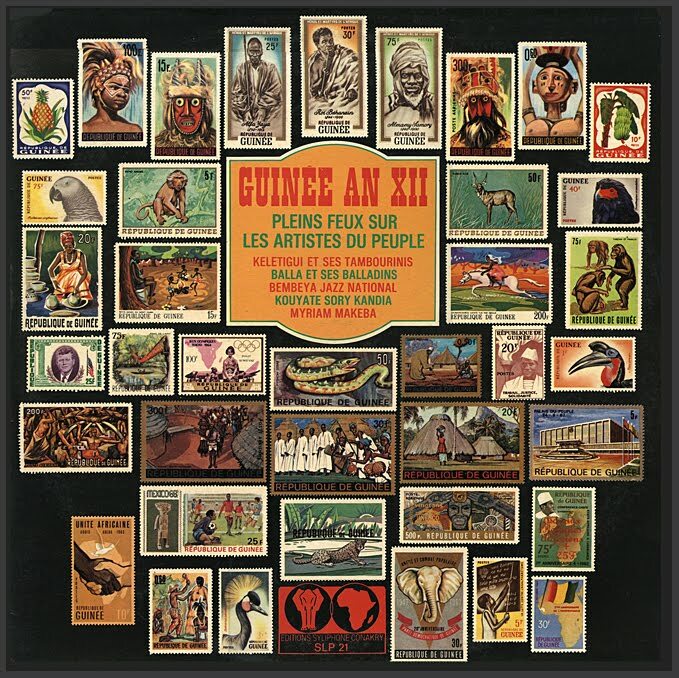 Guinee An X celebrates ten years of Sekou Touré et la Républic with exclusive tracks from Guinea's top Orchestres Nationaux. 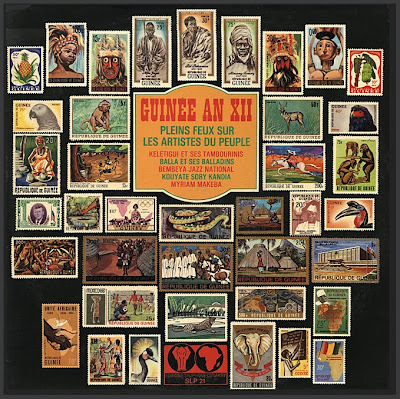 Syliphone anniversary anthologies X, XI and XII were followed by seven annual singles collections - Discotheque 70 thru 76.